Join Chief Ranger Bill Reid for a winter snowshoe hike 10 a.m. to noon, Feb. 23, at Ross Pond State Park in Killingly. If there is not enough snow for snowshoes, we’ll hike anyway. There is an easy to moderate 2.5-mile loop through woodlands, streams and wetlands. Conditions will determine whether the hike includes additional trail. We’ll also look for and identify animal tracks along the way. Wear appropriate clothing for winter hiking conditions, bring your own snowshoes and bring water and snacks or a lunch. 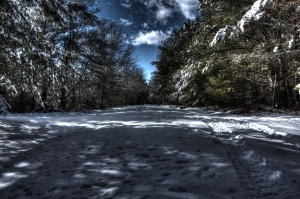 This snowshoe hike is for TLGV Members and their guests. For more information and to RSVP please contact Bill at 860-774-3300 or bill@tlgv.org Inclement weather cancels. Directions and additional information will be provided following RSVP.